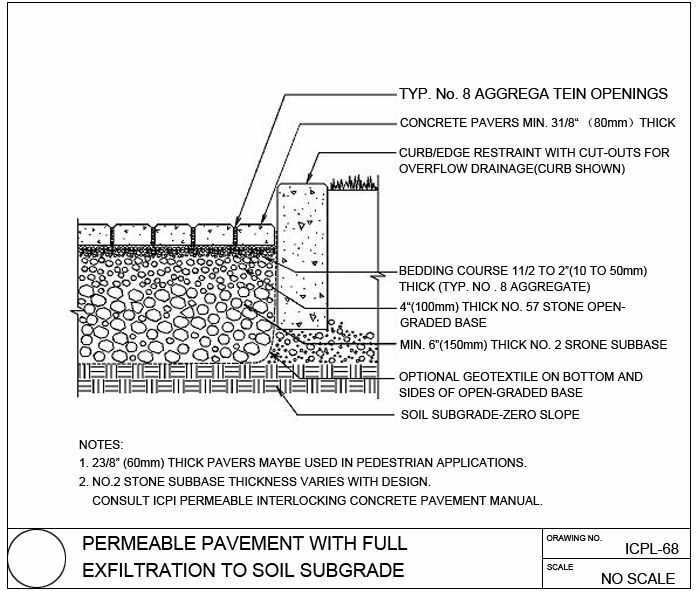 Permeable Information - Olsen Pavingstone, Inc.
With the advent of the Environmental Protection Agency's (EPA) mandate to control stormwater runoff through it's National Pollutant Discharge Elimination System (NPDES) in the early 90's, the path was paved for the growth of permeable pavements. The EPA is now working in conjunction with other agencies and organizations such as the Low Impact Development Center, the U.S. Green Building Council, and the Center for Watershed Protection to promote the use of low impact development (LID) and LEED and Smart Growth as a way to manage runoff. The EPA plans to establish ordinances to move the program in the direction of preferred design and best management practices. Infiltration practices have emerged as a major focus of these agencies and Arbor-stone® family of permeable interlocking concrete pavements utilize infiltration to control stormwater runoff. ☆May reduce heat island effect and thermal loading on surround surface waters For more information on the Arbor stone® Family of Permeable Pavers, please click on the quick links provided in the menu at left or in the side bar at right. While Arbor stone ® is available at all Olsen Manufacturer locations, a number of the newer products may not be available in all areas. Please check with your manufacturer for availability. The original Arbor stone ® paver has become the permeable paver of choice for design professionals. The classic shape provides structural interlock to provide a strong, durable pavement surface under vehicular traffic, yet allows for the infiltration of stormwater for environmental benefit. Please contact Olsen for a more ADA compliant paver if needed.